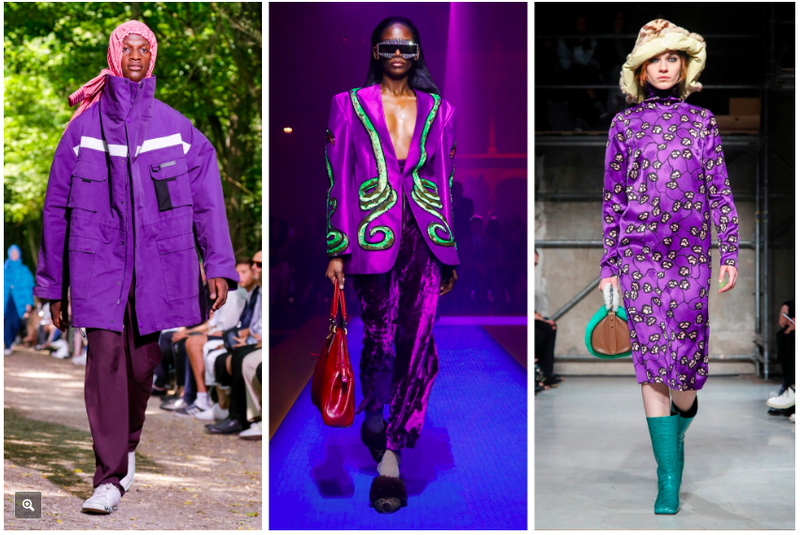 New York Times – "The Future Is ... Purple"
"It “communicates originality, ingenuity and visionary thinking,” Leatrice Eiseman, executive director of the Pantone Color Institute, said by way of explanation. It is found in the cosmos (think of all those swirling purple nebulae! ), the wellness movement (amethyst crystals!) and was a favorite color of the architect Frank Lloyd Wright, who, Ms. Eiseman said, used to wear a purple cape when he was trying to be creative. Ditto Wagner, who liked to surround himself with purple when he was composing. Also, of course, Prince."